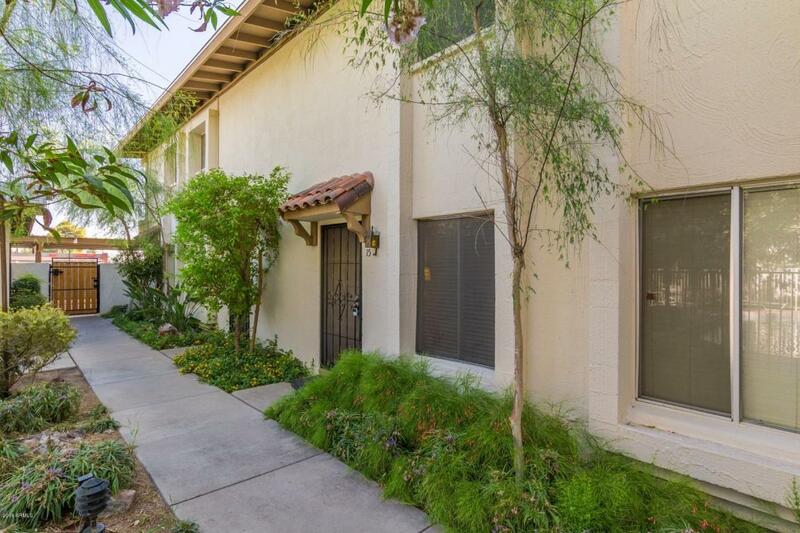 Nestled on a quiet, palm tree-lined street, this charming, Spanish-style newly renovated townhome is a MUST-SEE. First, let's start with the PRIME ARCADIA LITE LOCATION: it's walking distance to Postino, LGO, Ingo's, Beckett's Table, Sip Garage, Pig's Meow, Madison Improvement Club and so many other wonderful restaurants, shops and fitness studios. The complex is quiet, pet-friendly, beautifully landscaped and comes with a centrally located swimming pool/courtyard area. 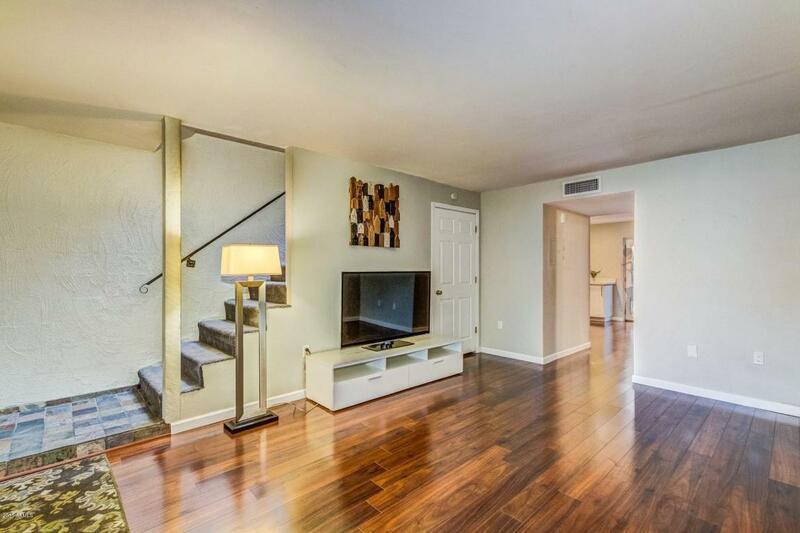 This townhome is freshly painted with beautiful hardwood floors in both upstairs bedrooms, new high-quality laminate downstairs and slate tile-floored bathrooms. NEW KITCHEN with quartz countertops and plenty of extra cabinets for storage and new vanity in upstairs bathroom.The block construction plus eastward-facing direction of this unit creates a nice environment, and the A/C is less than a year old. Small, tranquil patio space to make your own. Great closets and storage spaces! 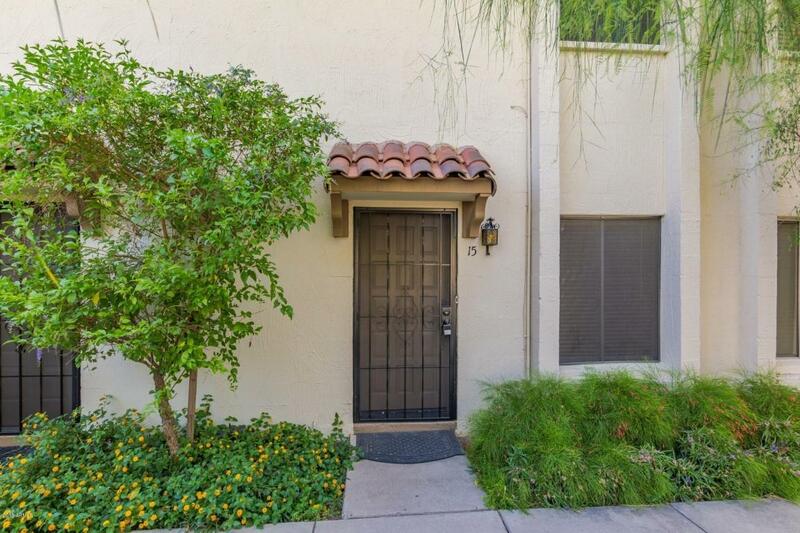 Includes assigned storage unit and parking space in the back plus plenty of street parking in the front. Close access to laundry facilities. 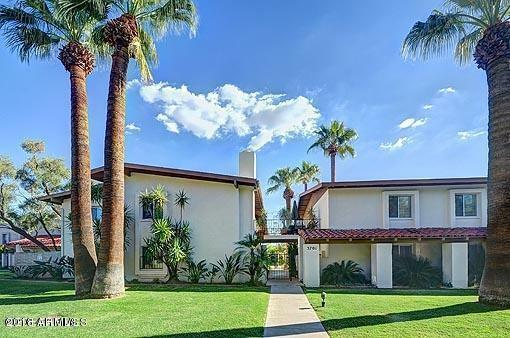 Whether you make this your new home or use it as an investment property"this unit is move-in ready and a great deal for this sought-after complex and amazing neighborhood!